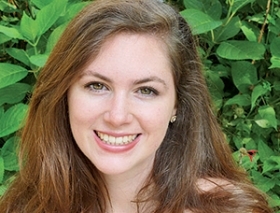 DETROIT -- Hannah Lutz has joined Automotive News as finance and insurance reporter, writing for the website, weekly print issue and weekly F&I newsletter. Lutz, 23, is based in Detroit. Lutz has covered breaking news and written feature stories as an Automotive News intern since August. She previously was an editorial intern for the Chicago Sun-Times and Patch.com in Evanston, Ill. She earned a bachelor's degree in journalism from Loyola University Chicago.